Personal Financial Management Combo is designed to empower participants with knowledge that will help them to do their personal financial management wisely and effectively. In today’s world of negative real interest rate i.e. interest rate adjusted to inflation, the biggest challenge is to beat the inflation. 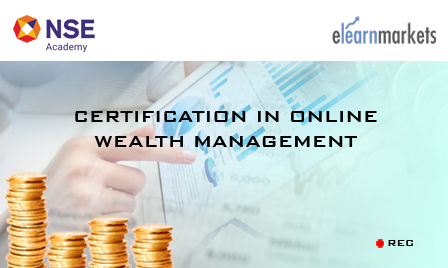 With this course , a retail investor, or an HNI, or a professional gets enough knowledge about financial products, financial markets , and financial planning so that they would start believing in their ability to generate a higher return on their investments. This Combo course shall help the participants to acquire knowledge, skills, attitudes , and values required to operate ethically and responsibly in the highly regulated Financial Services environment and to respond to the challenges posed by the changing nature of the Financial Services Industry. Incumbents here will be exposed to the important terms, rules, concepts, principles , and theories related to Basics of Capital Markets, Fundamental Analysis, Technical Analysis, Wealth and Investment Management. 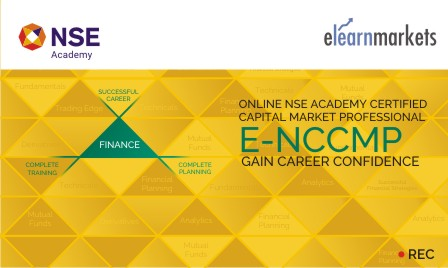 Students enrolling for this programme will be given a “Certificate of Completion” from NSE Academy facilitated by Elearnmarkets.com, after successful completion of the course. He shall also be given free access to related webinars conducted by Kredent Academy for further knowledge enhancement. An email query support, Question & Answer community platform will also be availed by the student for any kind of doubt clearance related to content while pursuing the course. This Combo will benefit freshers and graduating students who would like to get introduced to the basic market terminologies and concepts. 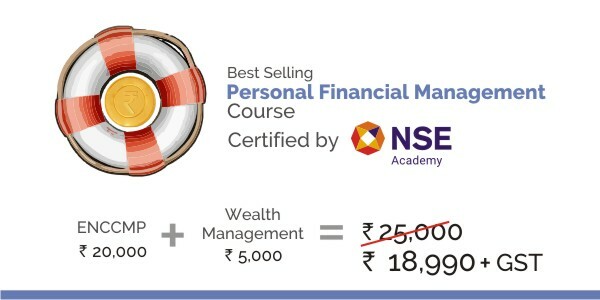 It shall benefits new investors, retail traders, and financial service professionals Graduates/ Post Graduates, Working Professionals looking for specialization in Financial Services functional domains, candidates wanting to build a career in Distribution Houses, Asset Management Companies, PMS, Wealth Advisory, Banks and Stock broking will also benefit from this programme .